What are the Best Vitamin Supplements? Until recent years, the role of vitamin K2 has been vastly underrated. It plays an important role in cardiovascular and bone health.4,5 Vitamin K2 in the Menaquinone-7(MK-7) form assists in the transport of calcium from the bloodstream into the bone. Vitamin K2 is also required by calcium-regulating proteins in the arteries.6 Without adequate vitamin K, calcium can accumulate in soft tissues such as the arteries. Let’s backtrack for a moment. Why do we even need to take vitamin supplements at all? Well, frankly, the Recommended Daily Allowances (RDAs) are often inadequate to support optimal health. While the government developed RDAs, these values only represent minimal amounts of nutrients that are intended to protect you from a deficiency. However, that sometimes fails as well, as is the case with vitamin D. But why should we settle for borderline health, shouldn’t we want to be in the best health that we could possibly be? Shouldn’t we strive for optimal health? If one is eating 5−7 servings of fruit and vegetables daily (that are grown in nutrient-rich soil) along with a balanced diet, this can be very beneficial in helping to meet nutrient needs. 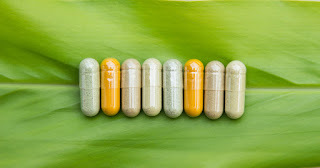 However, due to various factors such as age, health status, genetics, environment, lifestyle, and health goals — one may choose to optimize their nutrient intake, or at least help to fill in the gaps with vitamin supplements such as individual vitamins or a multi-nutrient formula. If you’re not sure of your status, ask your doctor for blood testing or you can purchase blood tests through Life Extension. The best supplements to take are really those that are based on your individual needs. For example, many common over-the-counter and prescription medications deplete nutrients. So, you’ll need to replenish those that are depleted from your medications. Also, it depends on the health goal / health concern that a given nutrient has been researched for, and if that same goal aligns with your health goal. Here are some of the best supplements categorized by health goal. 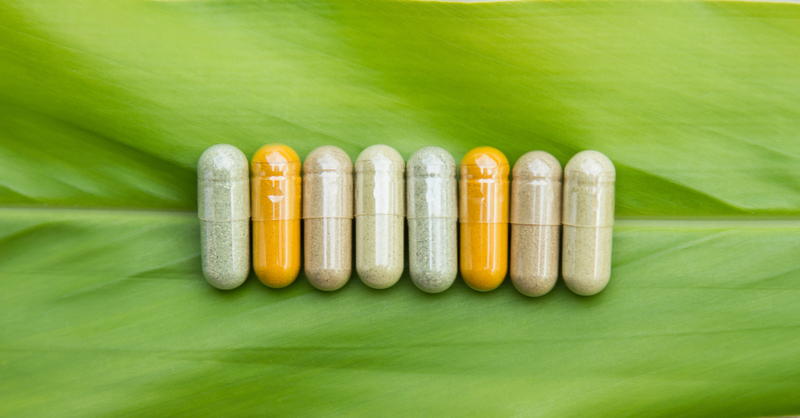 The best vitamins and supplements are those that are of high quality and produce desired results (provide health benefits) as evidenced by clinical research studies. Keep in mind that individual results will vary due to our individual biochemistries. In other words, everybody is different, and our bodies don’t always process foods, supplements, and medications in the same way. Duration of use and formula characteristics are important factors when it comes to results. Take this question as an example; how long was this nutrient taken in the clinical study before the participants saw results? One would want to mimic the research study as much as possible in order to achieve those same beneficial results. When it comes to quality, look for supplements that have been tested for purity and potency. Ask the company who is formulating your supplements about their quality standards. A trusted company will be transparent and have answers for you. The bad news is that there is no such thing as a magical weight loss pill. However, there are supplements that can facilitate weight loss, especially when combined with lifestyle changes such as diet and exercise. Also, some of the best weight loss supplements may not be named as such. Did you know that whey protein may actually help with weight loss?7 Yet whey protein isn’t necessarily categorized as a weight loss supplement. First, ask yourself why you’re not losing weight. Is it because of cravings and snacking? Is it because of hormones? Once you find out why, then you can find out how. Protein powder and coenzyme Q10 (CoQ10) are two of the best workout supplements. Look for a protein powder that contains creatine (supports muscle strength),8 whey (builds lean muscle),9 and an amino acid profile including glutamine (supports muscle recovery and endurance).10 CoQ10 is very active in our muscles and this co-enzyme helps our body repair itself because of its role as an antioxidant.11 Also, CoQ10 is required to generate cellular energy from the food we eat and use it for activity throughout our bodies.